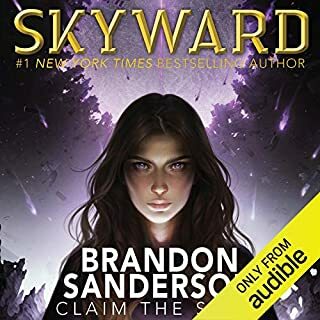 As Bingtown slides toward disaster, clan matriarch Ronica Vestrit, branded a traitor, searches for a way to bring the city's inhabitants together against the Chalcedean threat. Meanwhile, Althea Vestrit, unaware of what has befallen Bingtown and her family, continues her perilous quest to track down and recover her liveship Vivacia from the ruthless pirate Kennit. Spend some more time with the Liveship Traders. I have read a lot of fantasy in my time and it is rare to come across a story that is truly original. The world Robin Hobb has created in this series is unlike any I've seen, the magic is subtle and the characters are alive. After reading the Farseer trilogy (also by Robin Hobb), I couldn't wait to get my hands on more of her books. This one was as good, if not better. The characters Robin creates are real people, they don't always behave the way you expect them to, they make mistakes and they evolve based on what has happened to them. None of the characters are completely good or completely evil, and they don't fit into classic stereotypes. 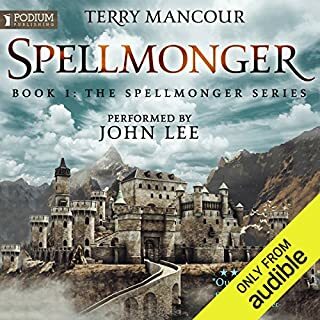 This series is actually placed in the same world as the Farseer trilogy and there are a few subtle ties to that story (which is fun if you've read it). 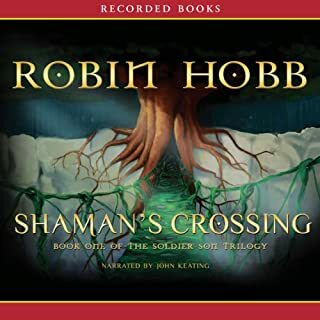 If you find you like Robin Hobb's style, you should really consider listening to her works in order. Each trilogy stands alone, but is made better if read in the right order. Start with the Farseer trilogy, next is the Liveship Traders, then the Tawny Man, and finally the Rainwild chronicles. If on the other hand, you are only going to read one set...read this one. It is impossible to stop listening until you've reached the end. Wraps it all up nicely. This is a fairly easy book to recommend because if you are reading this review then chances are you found the first 2 books entertaining. Know that this is the best of the three and you can pick it up without hesitation. If you haven't read the first 2 books then you should not start here as many things will not make sense to you. Overall I enjoyed the series, especially the story surrounding the dragons, wizardwood, and the live ships. It was definitely interesting and unique fantasy fare. The first book started a little slow and introduced many disjointed story threads. The second book picked up the pace and started to bring the threads together. And finally, the third book converged all of the story lines to end an age and usher in a new one. It all concludes nicely at the end so continuing on to Robin Hobb's next series about the Rain Wilds is purely optional. Anne Flosnik is still the narrator and her performance here is consistent with the first 2 books. Ann Flosnic continues the tale with consistency and is convincing in her portrayal of the various voices. The editorial performance had a couple of hitches. 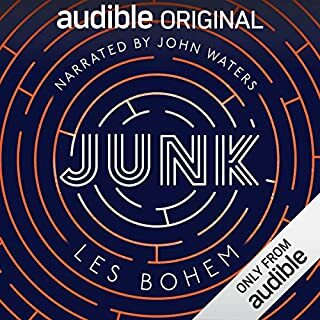 In chapter 26 of the audiobook, chapter 9 in the book, a whole three sentence paragraph is missing. In my trade paperback it is page 351, fifth paragraph from the bottom. Please fix it and provide an update. At once a morality tale, a fanciful adventure, and a great escape from reality. Robin Hobbs doesn't skimp in building her characters who do not remain static but are allowed to learn and grow. Of course she contrasts these with a certain group who usually suffer from hubris and forces the story into unexpected consequences . This is the worst reader I have listened to. The story is slow and the reader is slower. 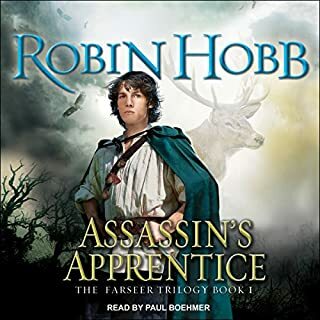 I have listened to all of Robin Hobb’s books and was extremely disappointed with this series. Magnificent conclusion to an epic tale! 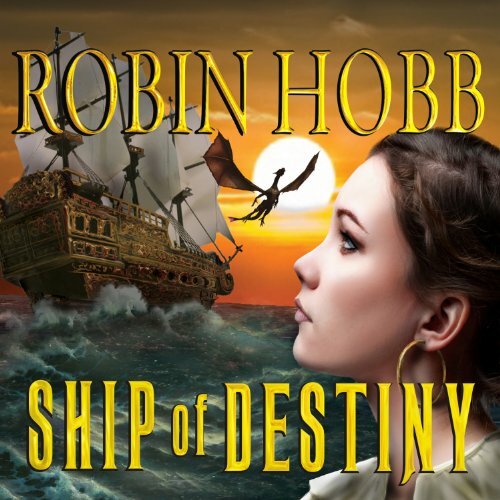 Ship of Destiny is the wonderful conclusion to Robin Hobb's Liveship Trilogy. I was so sad when I reached the epilogue as I felt I had gone through the long, arduous adventures with each of the characters. Amazing story! I never want this book to end! This is by far the best book in the trilogy, being full of action and captivating. My love for these characters near exceeds the real people around me! The first two books were tough for me to get through, but this third one made the time given completely worth it. Beautiful ending to a well written trilogy. Strong women / non-men characters. Disheartened by the explicit sexual violence depicted. Satisfied by the story's closure, left few questions unanswered. this live ship Traders series had an amazing climax. Robin Hobb is one of the greatest authors right up there with George RR Martin. her characterization really brings the story to life. You feel like you're living it.